The Bata Company started its business activities in Egypt in mid 1920s, when the first store was opened in the country. In 1930 a sister company was established, and in the following years several other stores were opened. 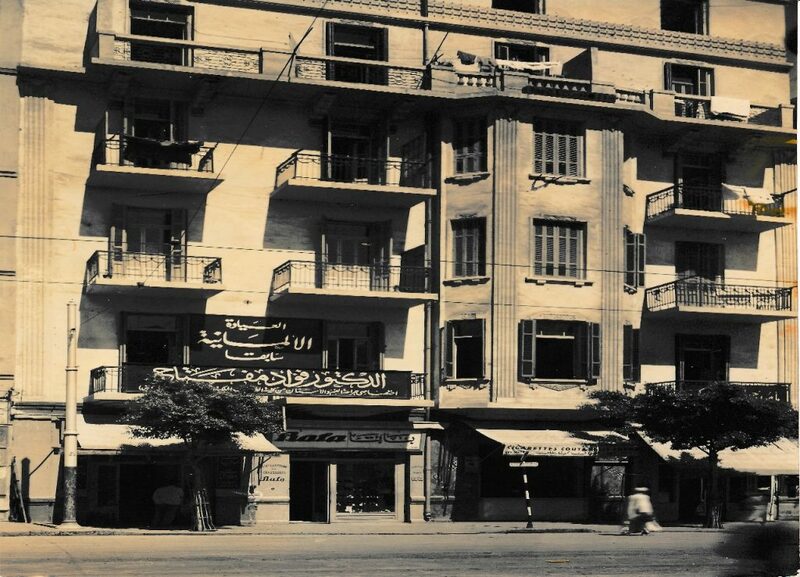 In 1939 a retail network of few dozen stores already existed in Egypt. In 1938 a factory was built in the country. However, the nationalisation of 1961 prevented the Bata Company from any business activities in Egypt. The company business there was restored in 1979. In the year 1926, the Bata Shoe Company opened its first store in Egypt. The import of Bata footwear reached 215,000 pairs as early as 1928; in the following years this trend continued and in 1931 the company imported 289,000 pairs and in 1937 this number reached 237,000 pairs. 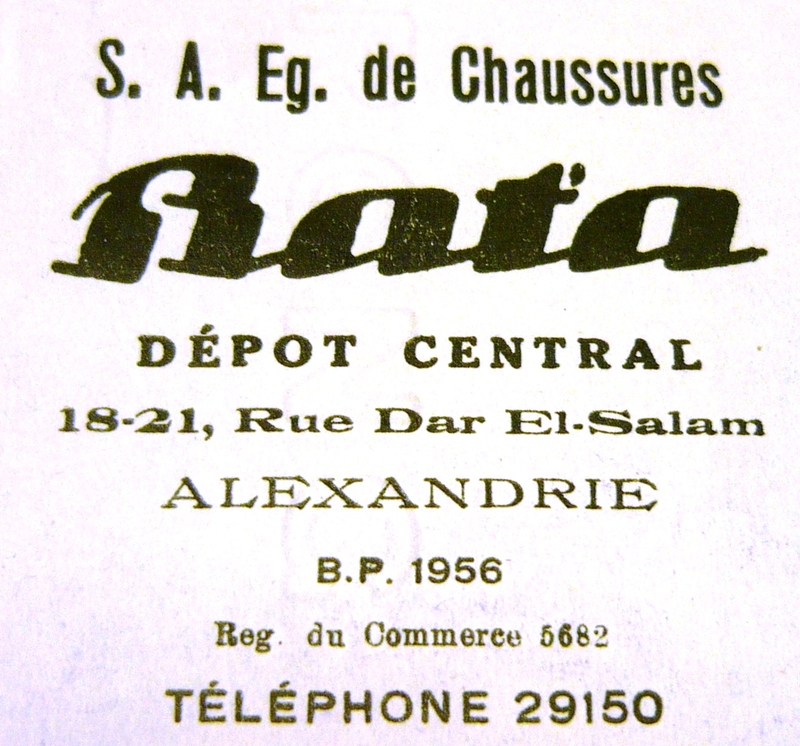 On 9th November 1930, the government of Egypt approved a registration of the joint stock company under the name of Société Anonyme Egyptienne de Chaussures Bata, Alexandria. In the year 1931 the Bata Shoe Company Bata had 5 stores in Egypt, and a year later this number reached 13. In the autumn of 1932 the Bata Company outsourced its production of slippers to local artisans (production in hundreds of pairs) to expand the range of goods in its retail shops. In 1933 in the Bata’s School of Work in Zlín educated a group of young Egyptian apprentices. In 1938 the Bata Company obtained a permission for production of textile and rubber shoes, and rented an old factory building in Alexandria. The shoes were made from semi-processed products from Zlín. In April 1939 the Company had a retail network of more than thirty stores in Egypt: Cherif Pasha, Zaghloul, Ataba, Port Said, Kalchani, Moharem Bey, Mousky, Heliopolis, Tahtah, Mansourah, Suez, Ismailia, Assiut, Mehalla, Damanhour, Ibrahimieh, Sayeda, Choubarh, Choubrah Bazar, Farouk, Attarine, Nadlm, Saptieh, Faggalah, Boulac, Benha, Fayoum, Souk el Kanto, Helouan, Citadelle, Giza, Zangazig, Emad el Dine, Minieh, Beni-Suef, Mit Ghamr. In 1951 the old factory in Moharram Bey (Alaxandria) was replaced by a new, modern plant in Gabbary (Alexandria), in which more than a million pairs of footwear was produced already in 1956. 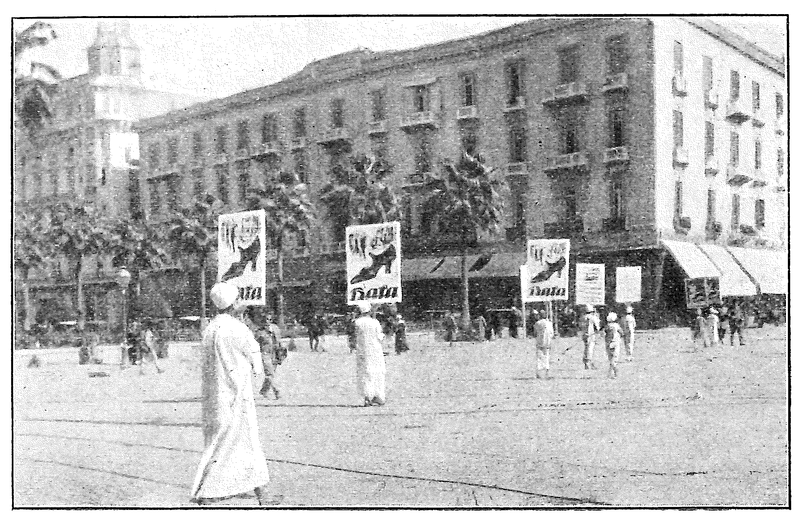 In 1961 the Bata’s Egyptian Company was nationalised. In the year 1979 the Bata Shoe Company returned to the Egyptian market and restored its retail store network in the country.